Use this Multifunctional Car Power Inverter to achieve highly efficient power conversion. Our inverter will never make you disappointed. It is specially designed to convert the DC electricity into AC by using an electronic circuit. 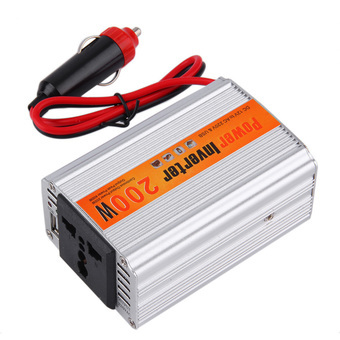 With highly guaranteed material and technology, our car power inverter provides reliable quality, high conversion efficiency and stable output voltage. Besides, it is in so compact size that is lightweight for easy and convenient carry. A trustworthy and durable choice widely applied to bulb, electric iron, desktop computer, laptop, fax machine, printer, LCD TV, fan, DVD machine, cell phone charger, etc. !